I've had my sights set on this day since September, but I honestly wasn't sure if I'd be able to make it come together since we literally moved days before spring break began. I've seen some adorable ideas for making fairy houses on Pinterest and great kits, but with boxes upon boxes stacked up in the basement from unpacking, I figured it would be easy to create our own. Fairy Day wasn't jammed packed full of activities like some of our other theme days, but we did just enough to keep the kids enthralled and enough down time to give me a much needed rest. I drew wings and the big kids cut them out. Every child colored and decorated their own however they wanted (we had glitter glue, buttons, paints, etc. ), then we taped them together, and put string on so the kids could wear them (think like a backwards necklace). 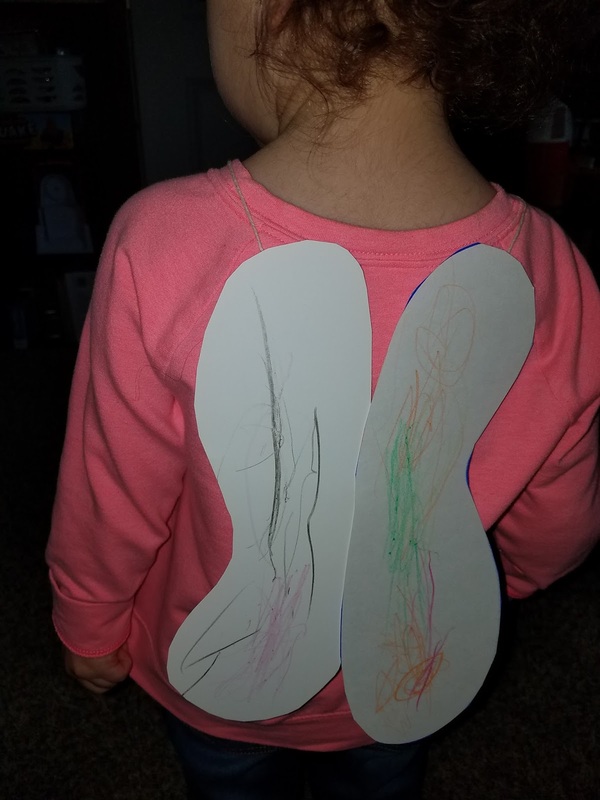 So simple, so cute, and provided a good laugh from me to watch the kids "be like fairies." Fairy Bread. 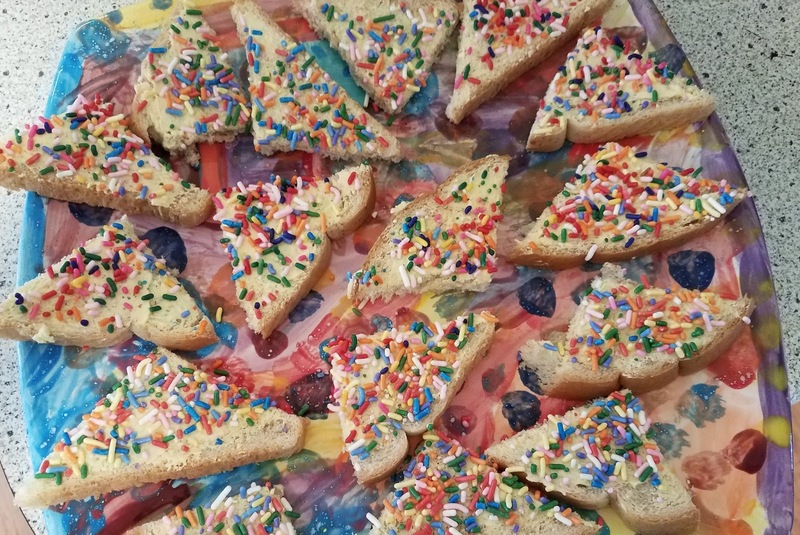 Well, not true fairy bread, but our version (here's a link for true fairy bread). You're supposed to use white bread, but none of us like white bread, so we used wheat bread, butter, and sprinkles. 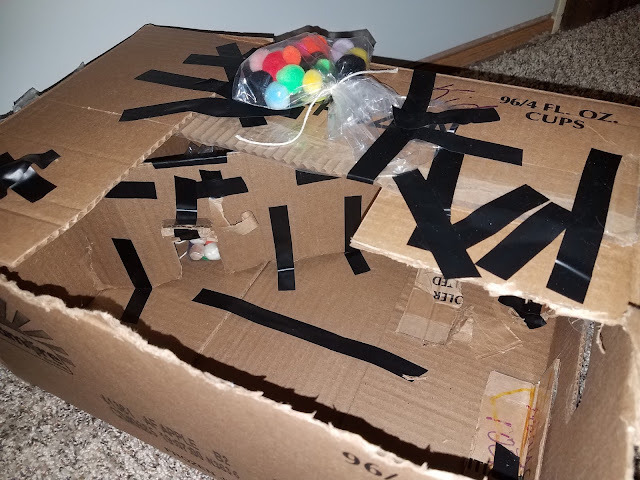 Most of the kids didn't like this, but other kids loved it! None of it went to waste. 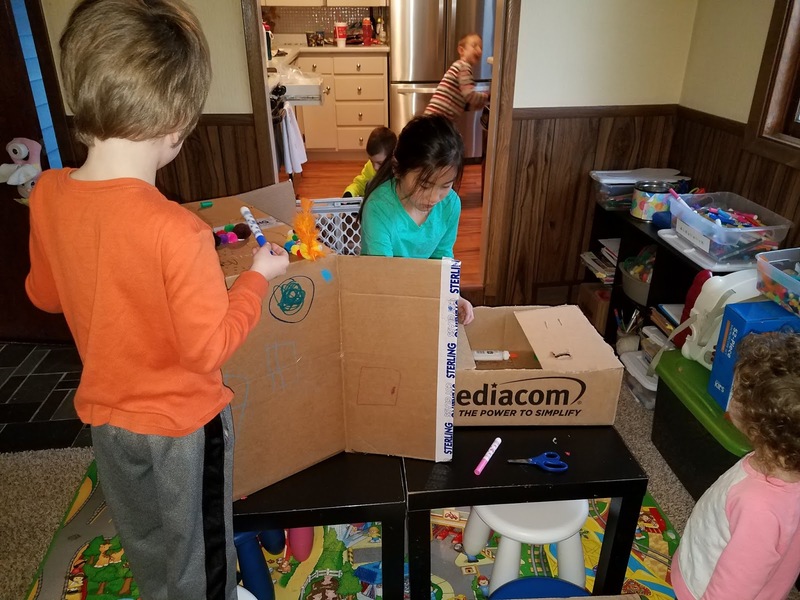 Making fairy houses out of empty moving boxes. Some of them were simply decorated with markers and glitter glue. Some of them put in pools, made doors, rooms, etc. It was neat to see what everyone came up with! 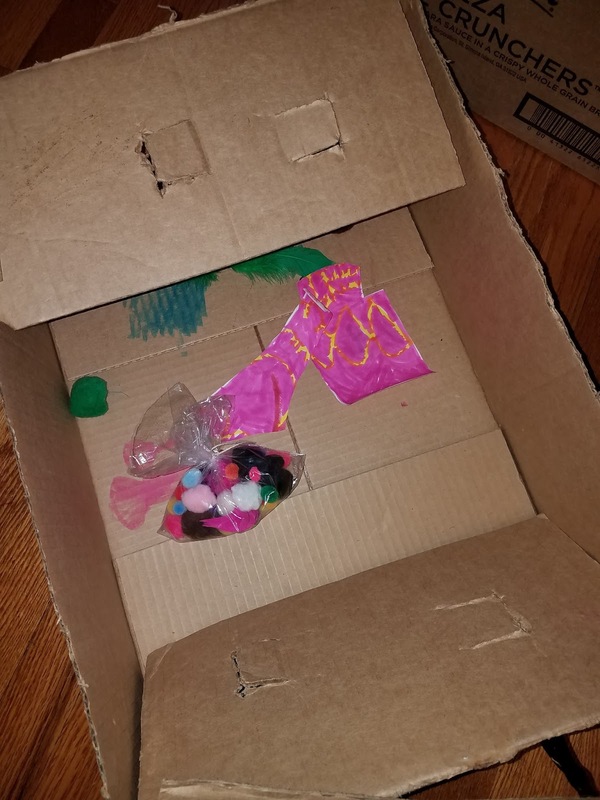 The fairy left a note that evening telling the kids that she's sorry she couldn't stay and play. As it turns out, a pack of fairy figurines are not widely carried in toy stores as I had planned...oops! I'll have to save the fairy magic tricks for another theme day! This summer I'd like the kids to create a Fairy Garden (or something similar) in our daycare garden...we'll see how that one turns out!